the morning of August 4th, I came to New York just for the show. Having left early in the morning, I was on the Lexington line on my way to the Met by 11:00a.m. I tried to recall what stop the Met was at, and at the 59th street stop, I asked both of the guys on my right and left side. Neither one of them even knew what the Met was. By the time I found out, I had gone two stops too far. On my reverse trip, I asked another young woman if 86th street was the right stop for Metropolitan Museum, but she was not quite sure either. I was outraged. 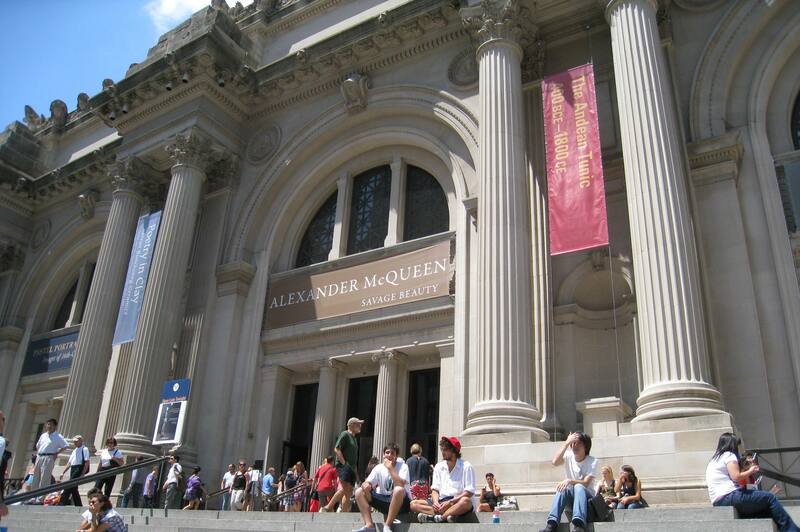 How can people not know the Metropolitan Museum? But soon I was calm enough to contemplate. Why should they? There must be plenty of people too busy to worry about art. We all live in our own bubbles. I remember one time in a social occasion when a person asked me if I liked basketball. I said I was not that interested in it, but for the next twenty minutes he enthusiastically talked about nothing but the basketball game and its stars. I politely smiled and pretended I was listening. I understood though; when we are infatuated with something, we feel the whole world should love it also. Another time when I was passionately talking about Akira Kurasawa’s movie, one of the audience who I consider quite smart said to me that she was envious that I could be so passionate about something. She said that she had never been crazy about anything in her life. Really? How could that be? I get crazy over so many things so easily. You are currently reading Going to the Met at Woven-Words.